‘The hand, which reaches out from an illusion of space to touch the painted support, serves as a reminder that the entire painting is, in fact, a surface. Particles of pigment suspended in oil have been pushed to and fro on this surface by my own actual hand. 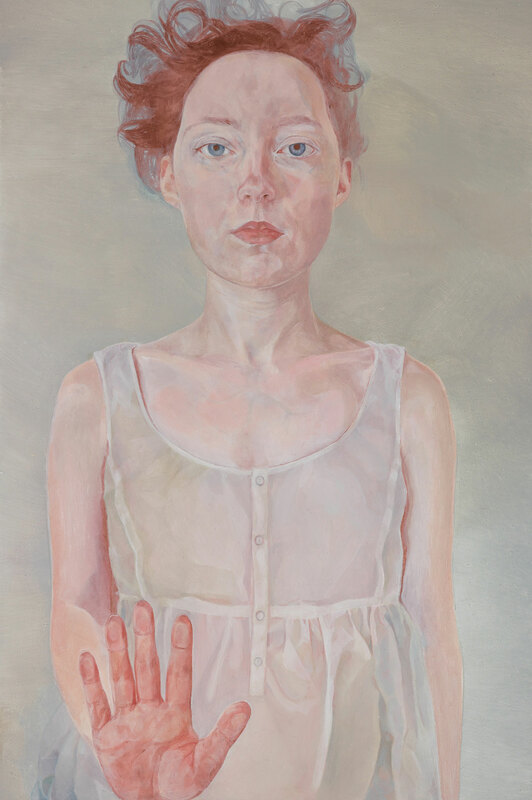 As such, touch is a quietly pervasive presence within the painting.’ says Natasha Walsh of her work in this year’s Archibald. ‘These particles react in a kind of alchemy to my mark-making and use of the copper support to produce a temporal illusion of flesh and space. Walsh was born in Sydney in 1994. This is her third time in the Archibald Prize.